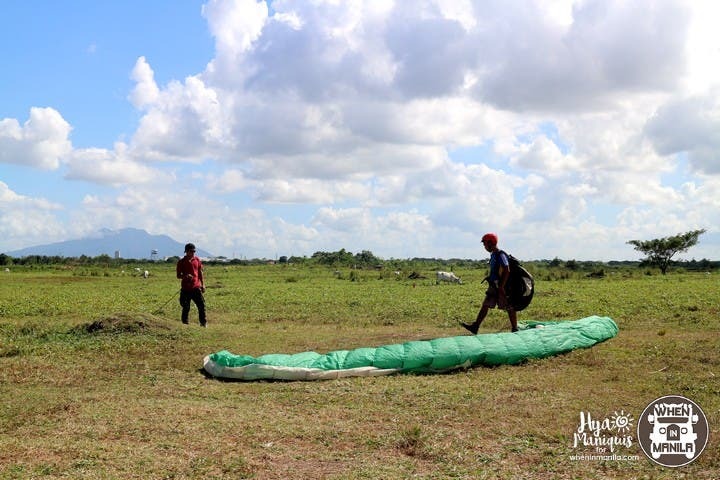 If you’re an adrenaline junkie, it’s time for you step up the challenge and experience a whole new adventure with paragliding! 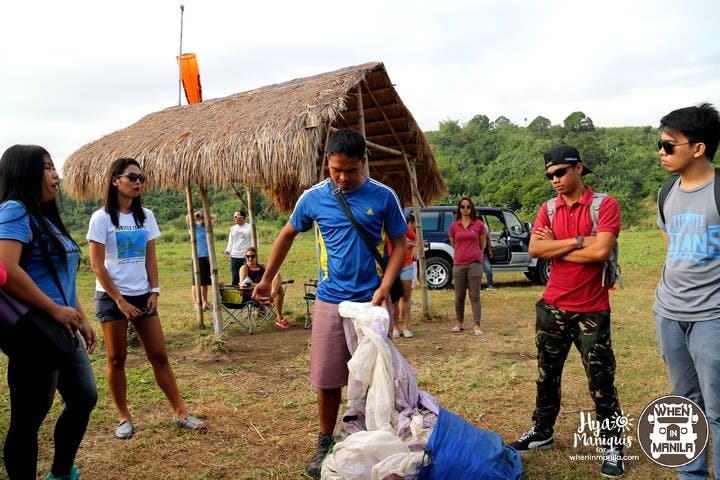 FlyXtreme Adventure Club offers paragliding sessions held in Canon Ridge, Carmona, Cavite. Being passionate about trying new things, I signed up for a paragliding session. 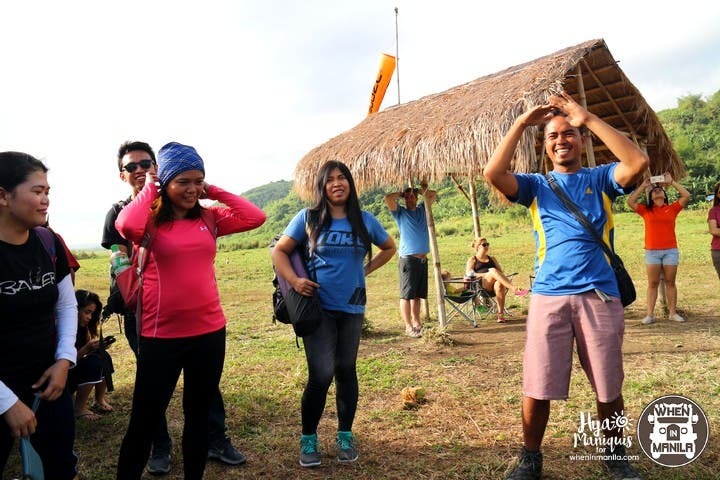 On the day of my scheduled paragliding session, a meetup was held in Alabang at 6:00AM with the other guests who signed up for the day’s flying session. The instructor, Sir Mike, gathered us so we can travel to Carmona altogether through van transfer. Upon arrival, we started with introductions and getting to know the people in the group. Most of us are just regular working folks from different industries with no background or experiences in paragliding, therefore, we were all really excited about this day! After the introductions, we were given a briefing on what we would expect for the day. Since we’re about 20 in the group, we had to be patient to get our turn to try paragliding. Another big factor on paragliding is, of course, the strength of the wind and its direction. Overall, we just have to endure a lot of waiting. After setting our expectations, we then proceeded to paragliding orientation. Sir Mike discussed the science and theories about flying. He also discussed how paragliding works, and its differences from parachutes and other forms of flight. He showed us the material of the wing used for paragliding along with other essential equipment such as protective gears. He also gave us instructions on how to control the wing in coordination with the changing directions of the wind when we start flying. After the discussions, Sir Mike tried to gauge the feasibility of flying by doing test flights. Unfortunately, we didn’t get much strong blows of wind that morning. If the winds aren’t very strong, we’ll be having a harder time trying to fly and our attempts will most likely be unsuccessful. So instead of waiting around for some good wind, we decided to have our lunch first. Boodle fight time! Boodle fight is always a great form of bonding! After our lunch and some rest, we were finally getting some good wind for flying. Finally, time to get into some paragliding action! Woo-hoo!